More and more consumers are going online for health information. There are many advantages to using the internet: information is readily accessible, often free, may be up-to-date, and can be comprehensive and factual. On the other hand, there is a tremendous amount of content that is false, inaccurate, and misleading. How does the site link to other sites? What information does the site collect about you, and why? Think about a health site that you use. Do you know the right kinds of information about it? ✔ Who runs this site? The organization's name should be clearly marked on every major page, along with a link to the home page. ✔ Who pays for the site? The source of a website's funding should be readily apparent. The source of funding can affect what content is presented and how. ✔ What is the purpose of the site? This question is related to who runs and pays for the site. An "About This Site" link appears on many sites; use it. The site's purpose will help you evaluate the information's validity. ✔ Where does the information come from? If the person or organization in charge of the site did not create the information, the original source should be clearly labeled. ✔ What is the basis of the information? The site should describe the evidence that the material is based on. Healthcare facts and figures should have references (such as to articles in reputable journals). Also, opinions or advice should be clearly set apart from information that is "evidence-based" (that is, based on research results). ✔ How is the information selected? Is there an editorial board? Do people with excellent professional and scientific qualifications review the material before it is posted? ✔ How current is the information? Websites should be updated on a regular basis, especially ones featuring health information. The most recent update or review date should be clearly posted. ✔ How does the site choose links to other sites? Websites usually have a policy about how they establish links to other sites. Some link to any site that asks, or pays, for a link. Others only link to sites that have met certain criteria. ✔ What information about you does the site collect, and why? Many health websites ask for you to "subscribe" or "become a member." Any credible health site asking for this kind of information should tell you exactly what they will and will not do with your information. ✔ How does the site manage interactions with visitors? There should always be a way for you to contact the site owner if you run across problems or have questions or feedback. If the site hosts chat rooms or other online discussion areas, it should tell visitors what the terms of using this service are. How does the provider or manufacturer describe the treatment? Certain types of language may sound impressive but actually disguise a lack of science. Watch out for claims of a "secret formula." If a therapy were a cure for a disease, it would be widely reported and prescribed or recommended. Is this site the only source for information on a condition or treatment? Legitimate scientists want to share their knowledge so that their peers can review their data. Be suspicious of phrases like "suppressed by Government" or claims that the medical profession or research scientists have conspired to prevent a therapy from reaching the public. Does it sound too good to be true? Then it probably is. Be wary of claims that something cures a wide range of unrelated diseases (for example, cancer, diabetes, and AIDS). No product can treat every disease and condition. To find specific scientific evidence on a topic, try PubMed. 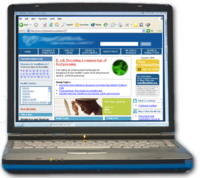 PubMed provides free internet access to resources contained in Medline (an online database of health information from the National Library of Medicine and National Institutes of Health). Through PubMed, you can access 15 million article citations going back to the 1950s. To conduct a PubMed search, simply enter your search terms and click Go. 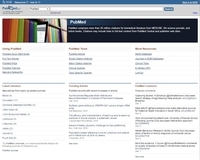 PubMed will automatically run the search and display citations for the articles. You can click on most articles to read an abstract, which will provide you with a brief overview of the study. Identify your key concepts. Identify exactly what you're looking for so you can focus your search. For example, entering the terms "cancer" and "chemotherapy" will give you more concise information than if you simply entered "cancer." Determine alternative terms. If you are searching for "treatments" you may also want to search by other terms such as "therapies." Experiment using different terms to see how it affects your search results. Refine your search. Do you only want to look for studies conducted in the past 10 years? You can specify a date range for your search. Practice. The more searches you do, the easier it will get. It's helpful to familiarize yourself with search techniques. PubMed has an online tutorial that explains advanced search techniques to help you focus your search. Where can I find information about holistic therapies? In many situations, integrative therapies and conventional approaches work well together. 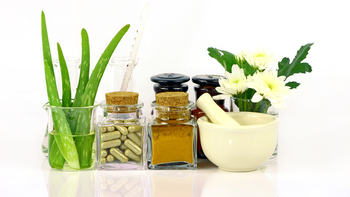 Integrative therapies can be (and are often) used in conjunction with standard biomedical therapies and procedures. For example, integrative modalities can help with pain relief and the fear associated with certain tests and procedures. A good way to become familiar with different integrative therapies is to visit the NCCIH website to see if NCCIH has any information or scientific findings to report about a particular therapy. The NCCIH Clearinghouse provides information about integrative therapies and about NCCIH. Services include fact sheets, other publications, and searches of federal databases of scientific and medical literature. The Clearinghouse does not provide medical advice, treatment recommendations, or referrals to practitioners. Remember also that you can use CAM on PubMed to search this free government database for information on integrative therapies and healing practice. Many of the other sites listed in the "Learn More' tab have information on integrative therapies. These sites contain resources, articles, and updates. The National Center for Complementary and Integrative Health has learning modules designed to help you understand the science behind health approaches. The Medical Library Association has A User's Guide to Finding and Evaluating Health Information on the Web. Links to their "Top Ten" most useful consumer health websites are listed. The MedlinePlus website lists several links on Evaluating Health Information. The U.S. Food and Drug Administration offers online health information. You can find valuable health information online, but you need to evaluate it carefully first. Make sure you are consulting a reputable site, and evaluate all claims closely—if they sound too good to be true, they probably are. You can get great information from several government sites, including PubMed.